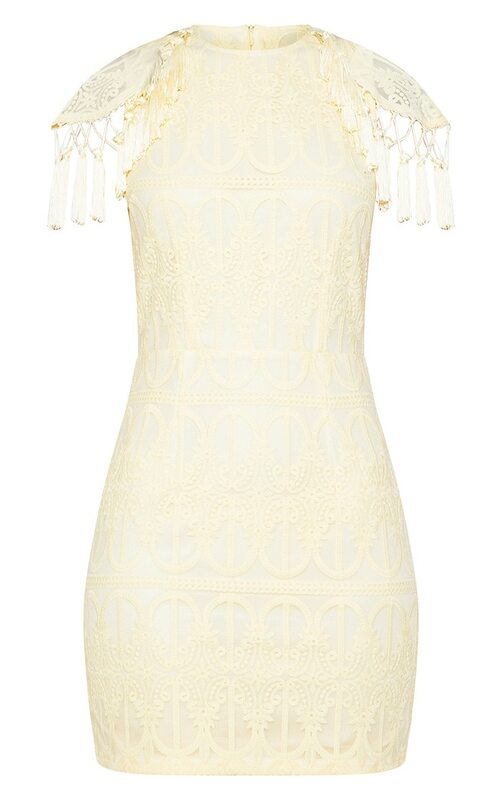 Get race day ready in this dreamy pastel dress. 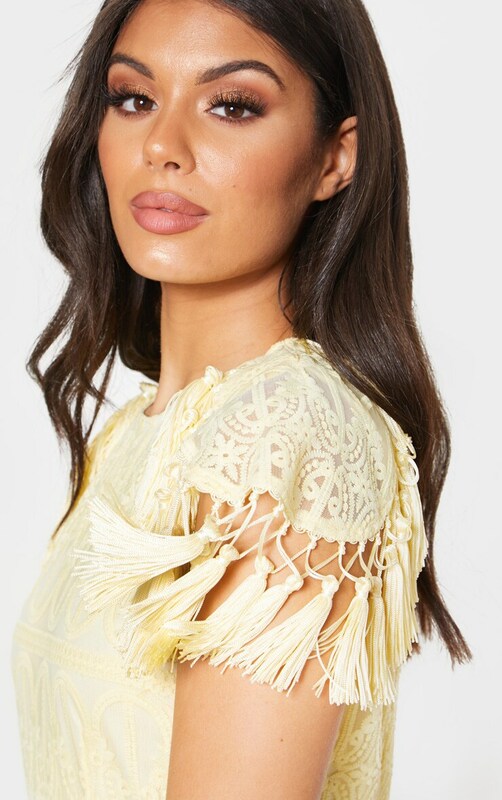 Featuring a lemon lace material with tassel detailing on the sleeves and a figure-hugging fit. Team this with wrap around heels and some statement mearings to make a statement this weekend.